In the late 20th Century, Australian drovers swapped their horses for motorised transport in order to herd cattle across the vast and unforgiving Outback. More specifically, these working men traded horse power for specially developed scramblers, which were stripped back to the barebones in order to improve reliability, decrease weight and eke every last drop of fuel from the tank. 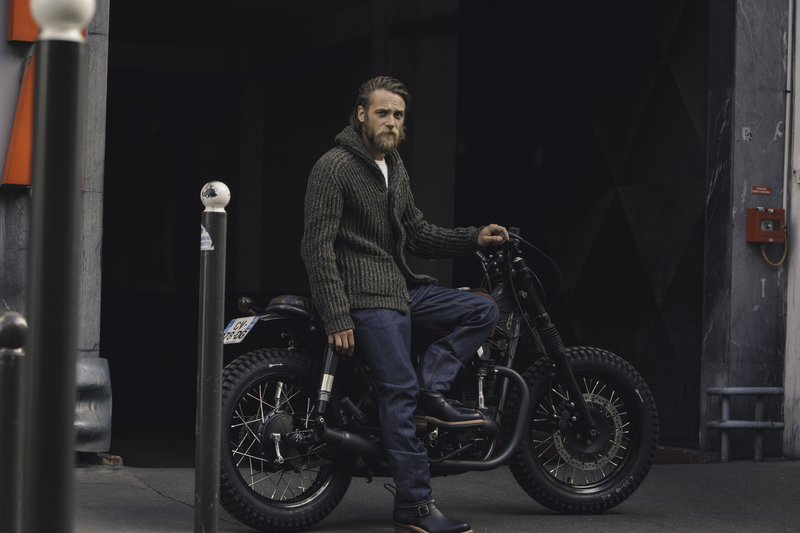 In homage to such early motorcycling pioneers, Australian luxury boot maker R.M Williams, which handcrafts all of its products in a traditional manner used during the early days of boot making, has teamed up with Parisian custom builders Blitz Motorcycles to create a one-off machine that compliments this small capsule collection. The bike is built around a parallel twin 650cc engine, featuring a K&N air filter and re-jetted carburettors, which echoes those original Outback machines. But Blitz has also fitted 18-inch scrambler tyres, a salvaged 1970s scrambler tank and a bespoke rear loop, which was hand-welded to create the unique shape. 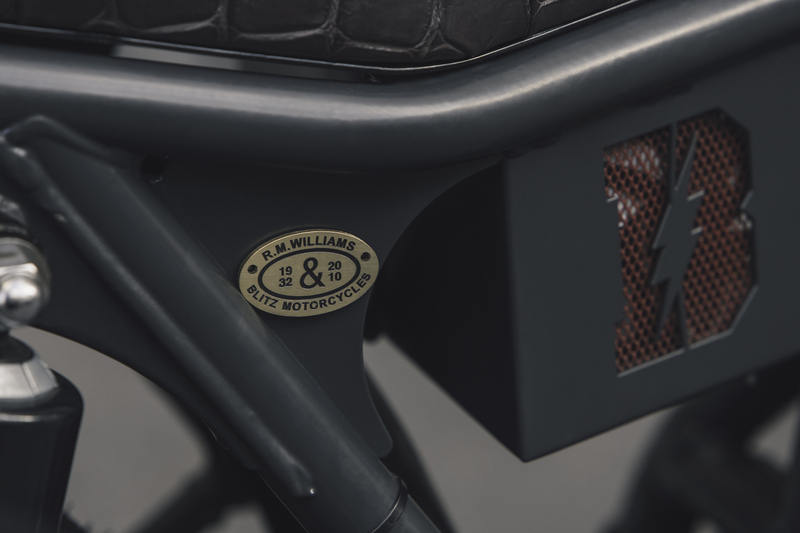 In typical Blitz style, the battery is placed in a branded box under the seat, while the remaining loom has been wired by hand and connected to Blitz Motorcycles mini-switches mounted on vintage US Triumph handlebars. 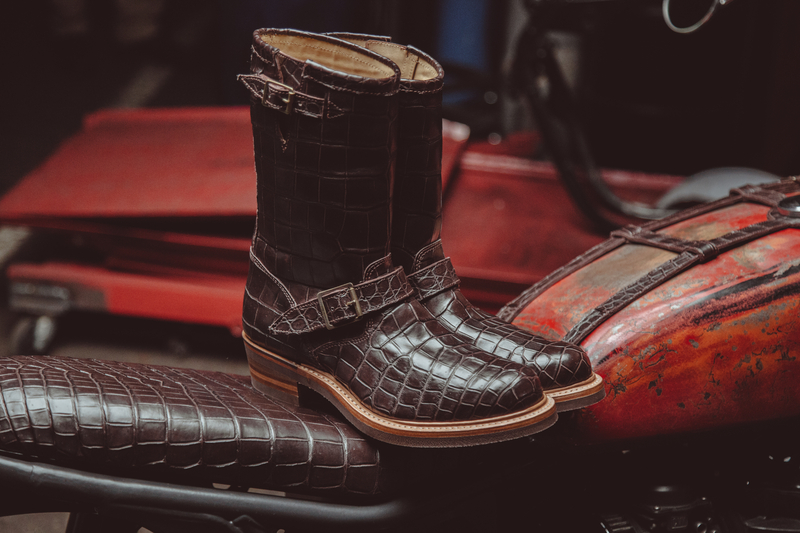 Arguably the most eye-catching thing about the new collection is the unique scrambler boot that’s fashioned from brown crocodile leather and made to order for a cool £4,995. To reflect this fact, the bike features the same exotic Brown Crocodile on its saddle, handlebar grips and tank straps – all handcrafted at the R.M. Williams workshop in Adelaide. For those on slightly tighter budgets, the boots are also available in a stylish black finish for a more reasonable £595. 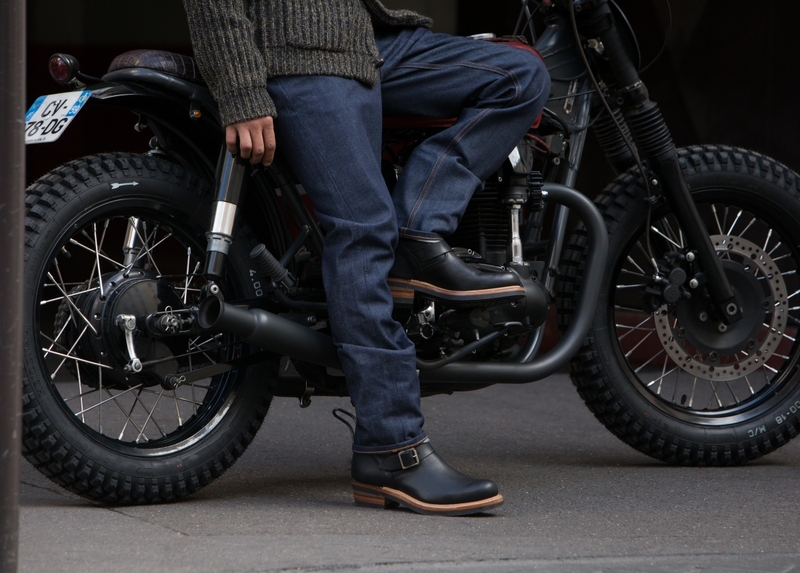 There are 85 hand-held processes involved in each boot’s creation, if you need additional impetus to go out and purchase, while the hardy rubber sole has been designed to put up with the beatings of bike riding. Both the bike and the boot collection are currently on display in Harrods throughout October and will move to the forthcoming R.M. Williams store in Soho from November. This stylish video gives you more information on the project.